Fast, fun and easy learning! Doing business or on holiday in Italy? You can definitely get the best business or holiday if you can understand and speak the Italian language! Perhaps you are an explorer travelling in Rome and found yourself lost in translation? No worries, you can now conquer the language barrier between you and an Italian speaker with this app. Too busy to enrol on a proper Italian language course or perhaps it is too expensive? Tell you what, you're not the only one and we now have a solution. This app is designed to work with your active lifestyle at your own pace! With the audio feature of this app, you can always learn while on the go. Whether you are driving, on the bus or train, jogging in the park or perhaps relaxing in bed, just plug in your earphones and start learning! 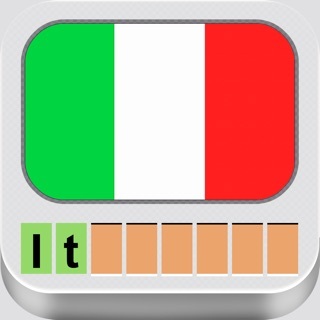 This app gives you the easiest and most hassle free way to learn the Italian language! Whether you are an academic student, tourist, explorer, adventurer or businessman, this app will make sure you speak Italian in 24 hours! Current Silver+ and Gold+ subscription prices are displayed in the app. Lots of new features and enhancements! We're working hard to give you more features and make our app better! I am enjoying this app. My normal routine is to do a lesson somewhere I can stop and read the Italian while listening. Then over the course of the day I will listen when I have a break or in the car. (Note not driving friendly to repeat or move to another lesson - too many clicks for that). At some point I go back to listening while reading. All in all I spend about an hour on each lesson. This isn’t learn Italian in a day per se, but learn Italian with 24 total hours of studying. I purchased all the lessons for $6.99. Now it’s telling me that if I want to have the lessons play in an endless loop I have to spend more. None of this was mentioned anywhere on the App Store or on the app. Go find another app for your language lessons that will clearly explain the costs before you spend your money. And even the the app says that I purchased all the lessons it appears that I only purchased a one year lease on the lessons and will try to charge me more next year. Going to the App Store right now and turning off any further payments to this company. Why couldn’t they have been upfront about all they’re hidden costs. This is a no frills app that is highly effective. It’s really easy to use and you can practice while you are driving because each lesson plays. You can easily go back listen to each section when you want to refresh or reinforce what you have learned. I’ve paired it with Duolingo and I’m learning the basics fast.